Staring down as the ground rushes up to meet you! I’m not a great fan of roller-coasters and thrill-rides, although I have ridden my fair share. The most recent was at Disney World in Orlando, FL where I rode the The Disney World Rock ‘n’ Roller Coaster, mainly because I heard that it accelerated from a standing start as fast a Formula 1 race car, or something along those lines. But, the one that scared me the most was one that I rode at our local Luna Park in my late teens … it was called The Zipper: more a thrill-ride than a coaster [AJC: I was ‘thrilled’ to find the image/movie above … imagine it at high speed and the whole arm on which the cages are moving around ALSO orbits around a central hub with the effect of ‘throwing’ each cage towards the concrete ground! ], as it consisted of a number of cages spinning on an orbital arm; the effect – at certain stages of the ride – was rushing face down towards the pavement … a nice way to pick up your heart and shove it firmly into your mouth! This effect is also one of the main reasons that I’m not enamored with most of the so-called Safe Withdrawal Rate retirement strategies that abound. The mathematical models used then try and take these various factors into account, along with the historical performance of the cash/bond/stock markets and calculate what % of your nest-egg that you can withdraw that will – within the % accuracy that you chose – ensure that you have at least $1 left to your name on the day that you predicted that you will die. … I still can’t help thinking that for the latter years – when you are pretty old and absolutely powerless to do anything other than ‘hang on for the ride’ – you will have to endure the REALITY of your bank account rapidly depleting towards that ‘perfect’ $1 remainder (or, whatever remainder you selected). 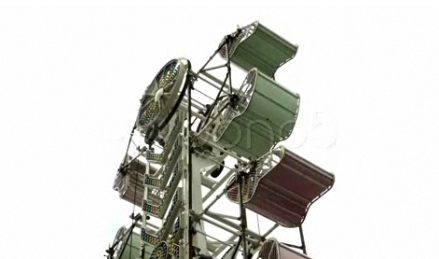 On September 7, 1977, the Consumer Product Safety Commission issued a public warning, urging carnival-goers not to ride the Zipper after four deaths occurred due to compartment doors opening mid-ride … the same scenario was repeated in July 2006 in Hinckley, Minnesota when two teenage girls were ejected from their compartment as the door swung open. This entry was posted in retirement and tagged 7million7years, retirement, Starting Out, wealth by Adrian. Bookmark the permalink. the carnies that operate that ride frequently have a lot of scars from loose change. there is a calculator to figure out when you’re going to die: http://www.deathclock.com/ i think we should all plan to have enough that we don’t have to worry about our death date. You make a good point. It is scary to think you may run out of money before you die. However, some people (myself included) also think it’s scary to run out of life before I run out of money. It freaks me out to think that I could work and save for much longer than I need to just to get to an absolutely 100% rock solid Number. Life is full of risk. The risk of eating cat food when I’m old and also the risk of retiring with a weak and frail body that I worked too hard accumulating too much. Even with the improved mathematical modelling, there are all sorts of problems with the safe withdrawl calculations, including (as Adrian pointed out), the possibility that you may live longer than expected. In addition to longevity risk, the other thing that causes me most concern is the fact that if it looks like I will run out of money, it will most likely happen when I have reached an age where I am too old to do much about it. @ TraineeInvestor – You raise some valid concerns with longevity and CPI. But, even IF the modeling was good, could you stomach seeing your bank balance go DOWN, not really knowing ABSOLUTELY 100% FOR SURE that it will last as long as you do? Are there differing definitions of safe withdrawal rates? In particular a rate that maintains your principal vs. the one you just defined that eats the principal down to the last buck the moment you kick the bucket? I agree that the latter is rather scary, and not something I would attempt to spot-land. I’d prefer the former where (the majority of) my principal outlives me and is something I can pass on to the next generation. I think it less about a safe withdrawal rate (which sounds like a “paycheck” you should demand from your nest-egg) vs. a reasonable yield expectation (how much $ could I reasonably expect my nest-egg to generate without eating up the principal after adjusting for inflation). Isn’t that what your Number concept is about? Figuring out what size of nest-egg you need to generate the yield you need to live your life’s purpose? @ Jake – Great question! The Number assumes a 5% yield for calculation purposes … but, that is very different from actually GETTING a 5% + CPI ~ 9% yield! And that, as you say, just to ATTEMPT to maintain principle. Can you think of an investment that will come even close to guaranteeing that? this is why I think you need to have some sort of perpetual money making thing planned (in place) so when you do retire, you’ve always got a source of income coming in,that won’t actually deplete your reserves.something you’ve mentioned many times is perpetual money making . @ Steve – Absolutely! Thanks.